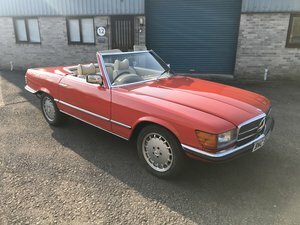 Mercedes-Benz W107 350 SL convertible in a very good condition. 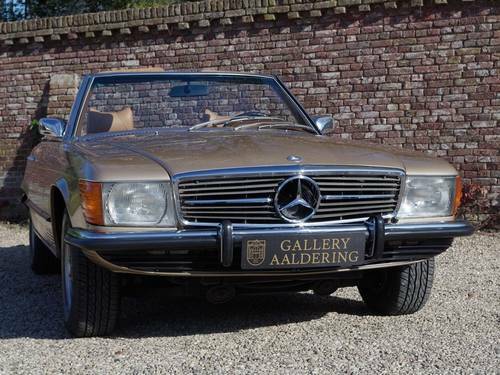 Original European car, delivered new in Switzerland. 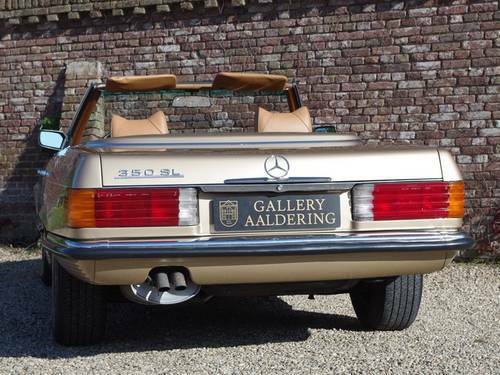 This beautiful 350 SL is painted very good and of course the car has no rust. 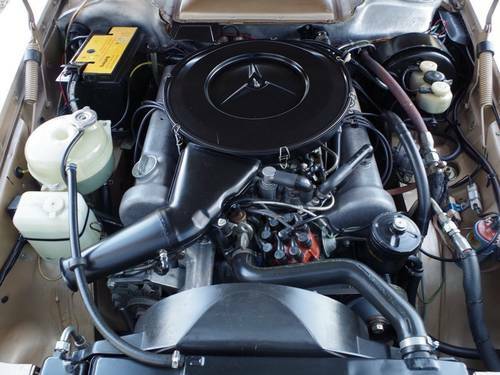 All fittings are perfect as you would expect from a Mercedes-Benz. 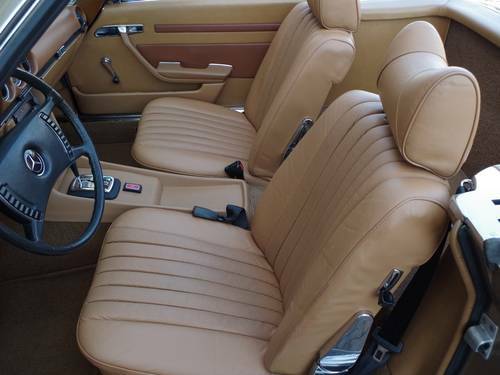 The leather interior looks very well taken care of and therefore in good condition. 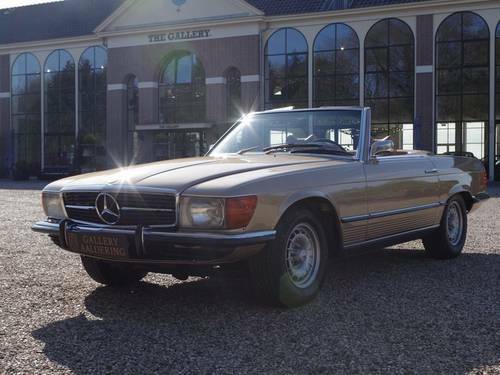 The golden paint in combination with the beige interior is really very chic. 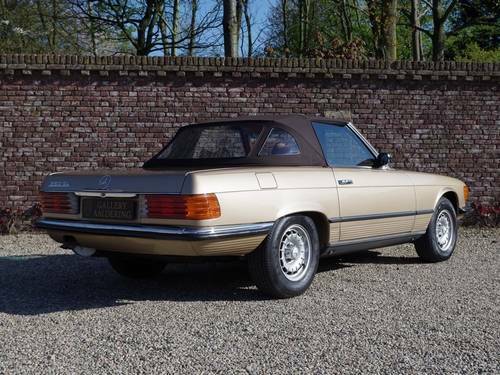 Also the brown soft-top is like new. 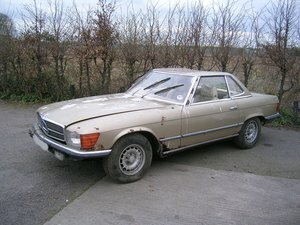 Technically the car is up to date, the fabulous 8-cylinder engine runs very nice and the automatic transmission shifts properly. 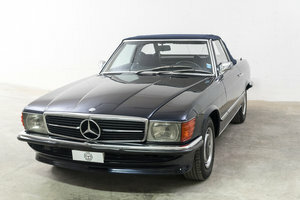 Very interesting 350 SL which has driven only 157.000 km from new.